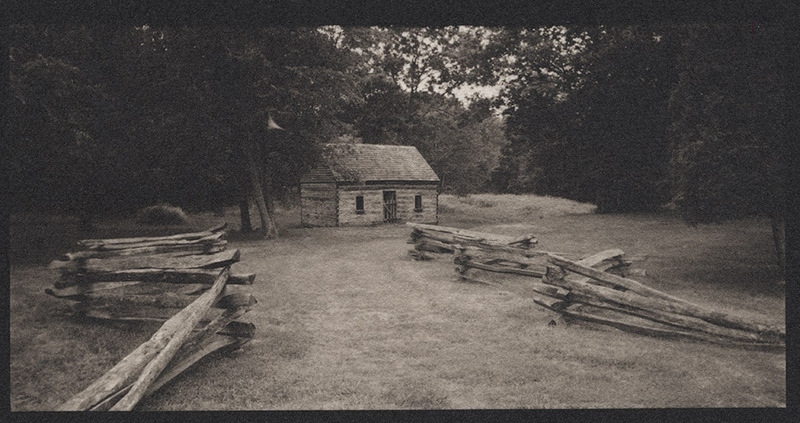 Sully Plantation is another historic homestead in the Washington DC suburbs. Today, sited across the road from the Udvar-Hazy Annex of the Air and Space Museum and the runways for Dulles International Airport, it is a tiny oasis of parkland in the middle of major development. This is one of the older properties I’ve been to, with the current house begun in 1793 and completed in 1799. 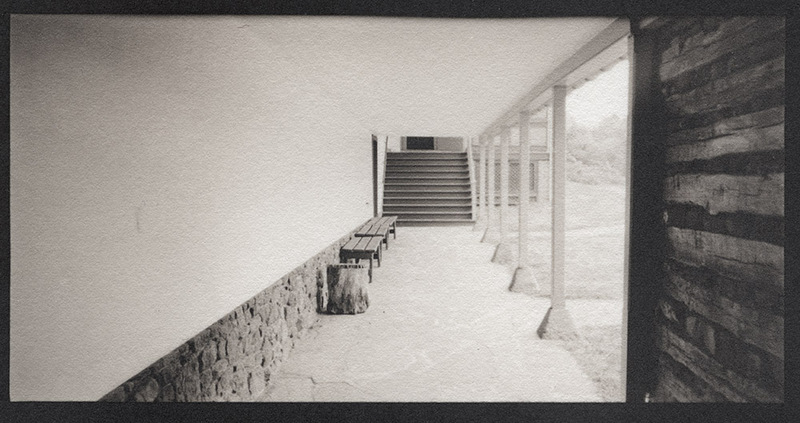 It was built by Richard Bland Lee, Robert E. Lee’s uncle and the first Virginia representative to Congress. The property covered some 3,100 acres. It had been in the Lee family since the 1740s. This is the kitchen at Sully. On the other side of the massive fireplace is the laundry. While it gives the appearance of bustling domesticity and comfort, it is still the site of slave labor that would have been conducted from before dawn to well after sundown seven days a week, fifty-two weeks a year. The comfort and ease of life of the Lee family and their guests would have been the product of this room. It bears minding that this one-room cabin with no glass in the windows, no insulation in the floor, walls or ceiling, a single stone fireplace for warmth in winter, and a long walk to the well, would have been luxurious by the standards of the field slaves. They most likely lived in large barracks-style buildings at considerable remove from the Sully house, with less privacy and fewer conveniences. Contrast this with the big house, with glass pane windows, carpets, fireplaces in every room, imported mirrors to brighten the parlor when the sun went down, feather beds, and a kitchen outside of the house to keep cooking odors and the risk of fire away. A view of Sully from the slave residence’s perspective. 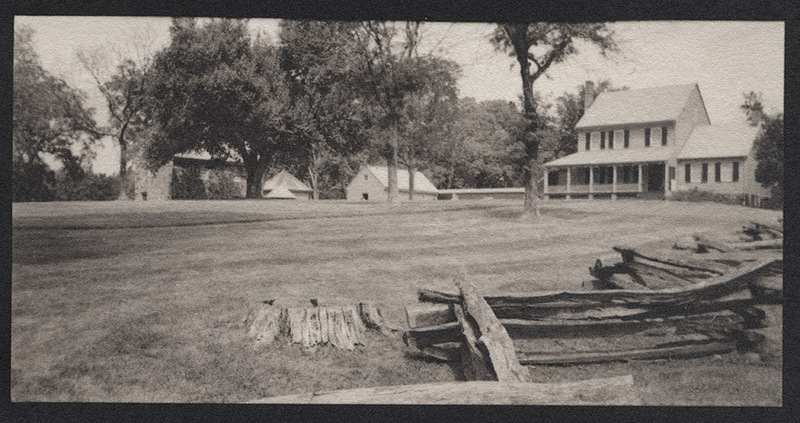 On the left you can see the stone dairy house – a structure with spring-fed pools to keep milk, butter, and other perishables cool year-round. 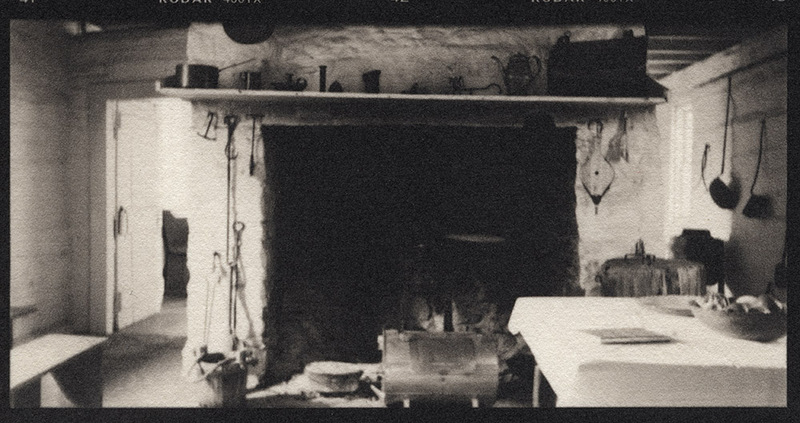 Next is the smoke house where they would have smoked meats to preserve them, and then the laundry and kitchen, connected to the big house by a covered walkway. All this would have seemed like an alien world to the field slave, and still a strange place they worked in but did not belong to for the house slaves living in the cabin with this view. I’ve subtitled this one “Fifty Feet is a Thousand Miles” – although that covered walkway from the kitchen to the house is a short distance, walking it with breakfast, lunch and dinner made for someone else’s consumption every day of your life must have produced some significant cognitive dissonance for the women who worked the kitchen. I remember hearing from a friend whose wife was a docent at Sully that Mrs. Lee remained friends with and corresponded with her personal maid for the rest of her life, even after her maid was freed from slavery and she had returned to Philadelphia where she was from. These kinds of friendships, and they did happen, certainly complicate the narrative of slaveowners and the enslaved, but it is still no excuse or balm for the absolute moral failure that was slavery. The friendship of a woman and her maid is not compensation for the remaining hundred-plus men, women and children who worked twelve hours a day in heat and cold, rain and snow, planting, tending and harvesting crops all for the profit and comfort of someone else without compensation or even decent living conditions.